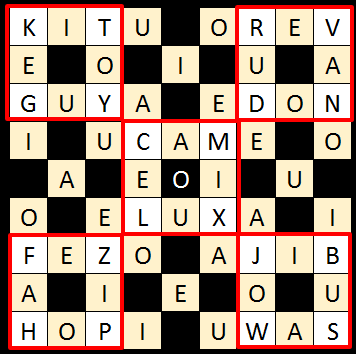 Using every consonant except 'Q' once, fill in the grey squares such that every 3 letter span within each red box is a valid word. 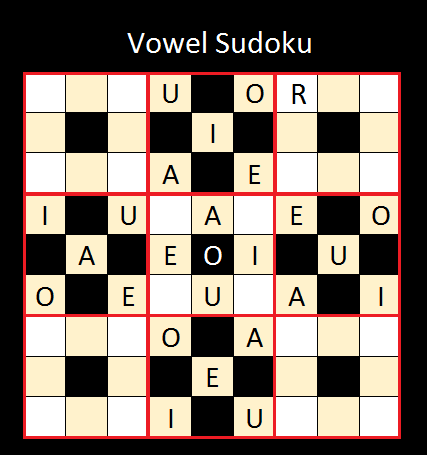 20 consonants, 20 words ('Y' is a consonant here). Words are valid if they have an definition on https://www.merriam-webster.com or http://www.dictionary.com/, are not capitalized, and are not abbreviations. Rare words are fine and perhaps necessary. There is at least one solution. The first solution of any kind gets the win and the check. Good Luck! EDIT: The 'R' may be moved if desired and at your own peril. Keen-eyed readers may notice remnants here and there of my workings-out. Sorry. I've mostly tidied it up. Not the answer you're looking for? Browse other questions tagged english sudoku letters or ask your own question.